I am psychic and grew up with the acceptance of foreknowledge and spiritual connections. My birthname, Pandora, means 'all gifts" and acknowledges both of my gifted grandmothers. 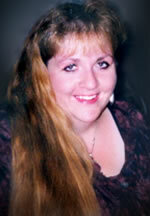 I am a 3rd generation clairvoyant psychic advisor with the highest order of spiritual connections. For the past 20 years, I have been counseling and guiding thousands of seekers to find their true pathways through life toward enlightenment. Together we can find answers to your questions: past, present and future. During your session, I connect with your spirit guides in order to get information for you. I hope that my calming influence and support will help you know what to perceive from the future and how best to move through it. Please join me in preparation for our meeting by taking a moment to breathe deeply, quiet your mind, and try to relax. My routine includes meditation, visualization and cleansing my aura and reading space. Pandora Pappas is available ... and ready to take your call!